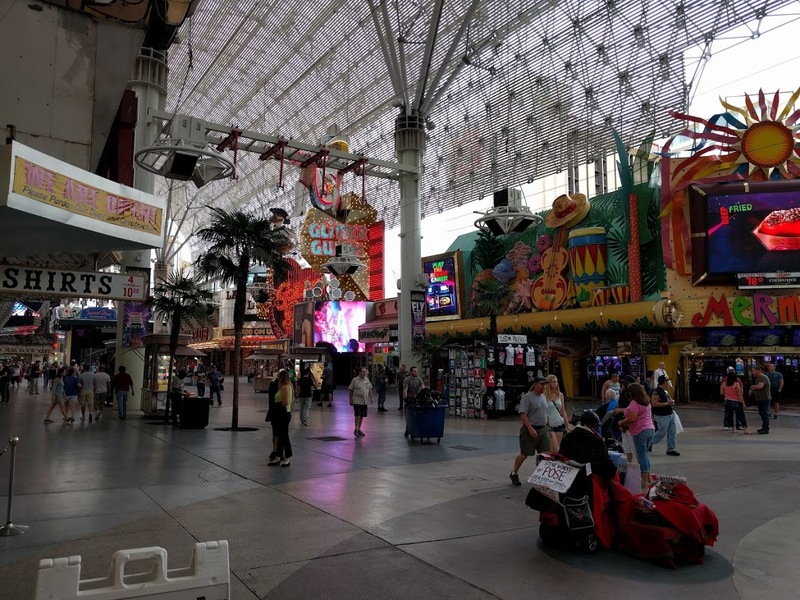 Home » Travel » So, How is Downtown Las Vegas Compared to the Strip? 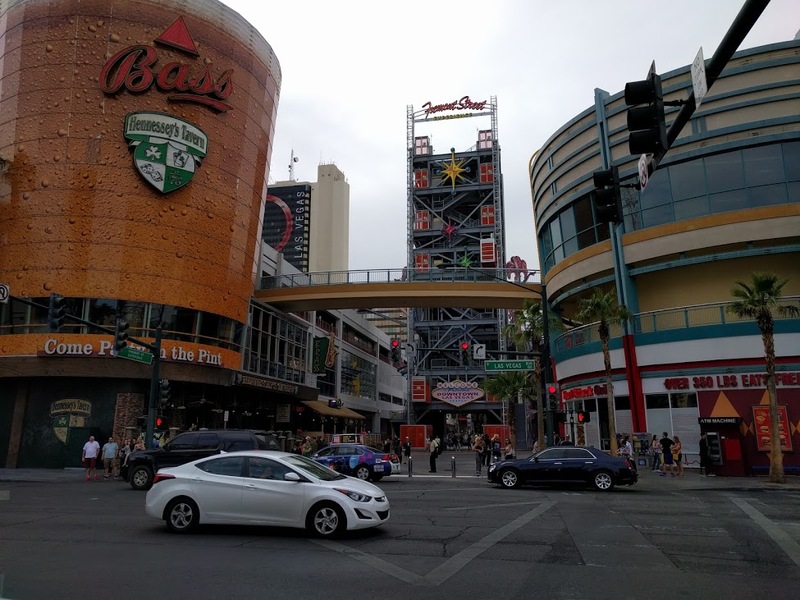 So, How is Downtown Las Vegas Compared to the Strip? Well, the short answer will be “very different”. On the Las Vegas strip all the action is inside of the big resorts and the casinos. Most of the action is anyway. At night there will be a few street performers and people hanging out here and there, but nothing out of the ordinary in my opinion. Downtown Las Vegas seems to have most of the action outside on Fremont street. Of course here are also hotels and casinos, but far from the fancy strip style. 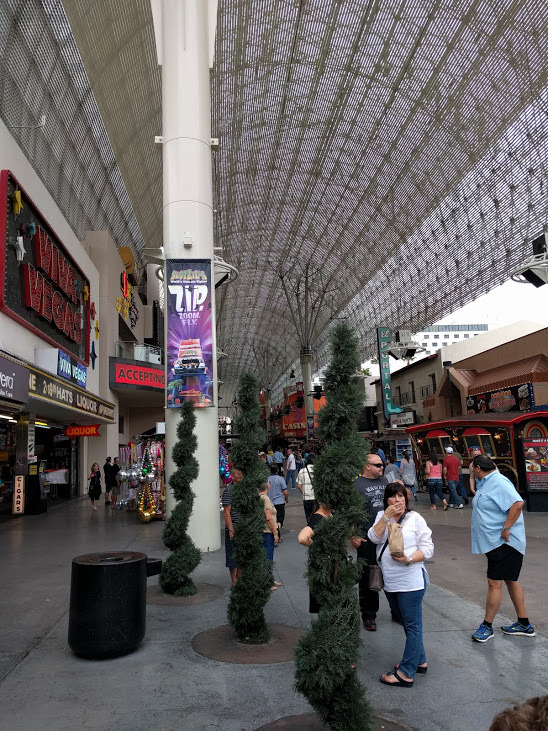 The whole downtown Las Vegas seems way more laid back. More like one big outside drinking environment. Souvenir shops selling $4 for 2 16 oz beers, stages on the street and a long zip line in the entire length of Fremont St.
We arrived there around 3 pm and left around 8 pm, so we didn’t actually experience the night life on Fremont, but I am sure it will be hoppin’. There are many people who actually prefer downtown Vegas over the strip, but I’m not one of them. 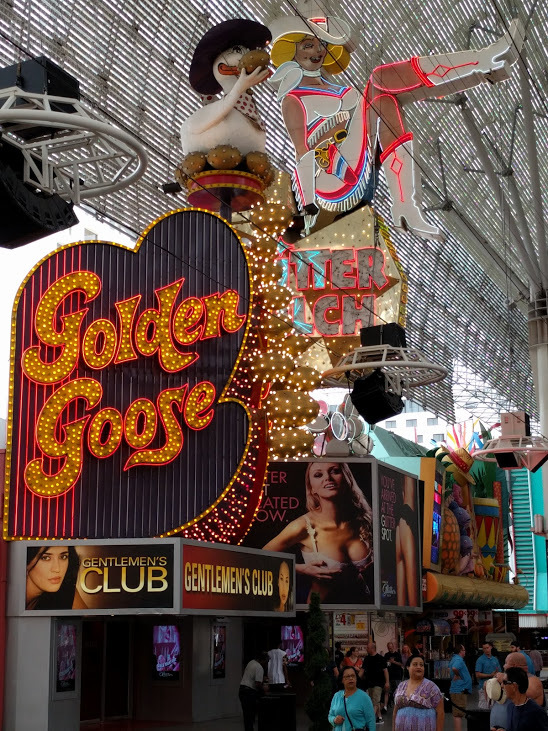 It’s ok for a night, but the strip is just more pleasant. 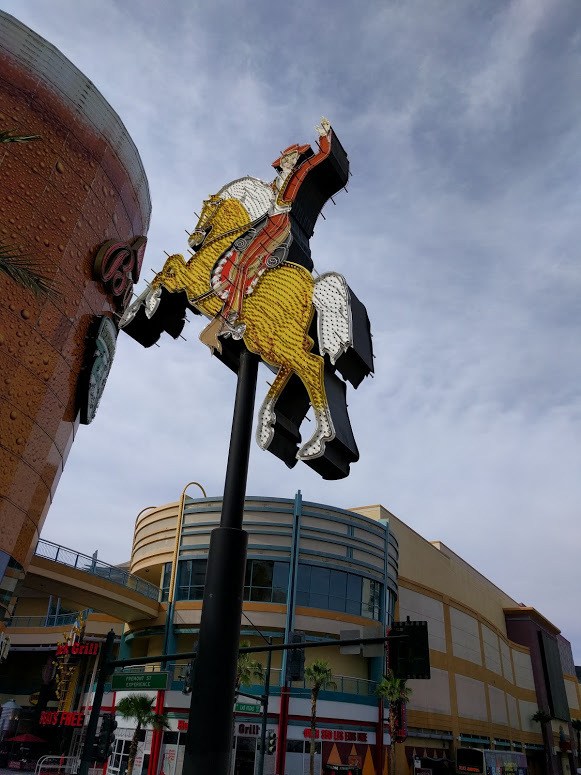 Here are some of the pictures from Downtown Las Vegas.